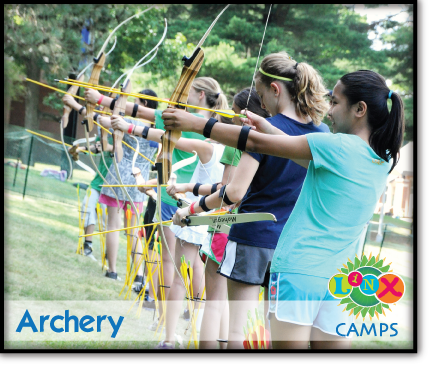 Recreational & Educational Activities: It is our goal at LINX Camps to give each and every camper the opportunity to discover, explore and enhance his/her interests and passions by offering a wide selection of educational and recreational activities. 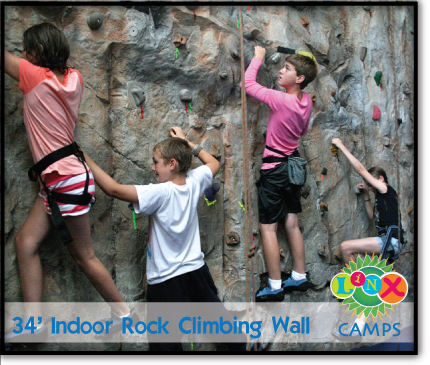 General Campers enjoy most of our camp activities throughout the week. In addition, Freedom Campers (2nd - 8th Grade General Campers) choose their own Specialty Workshops and Camp Activities each afternoon. Campers participating in our Specialty Camps and Sports Camps have schedules packed with activity periods focused on their specialty or sport. In addition, Sports and Specialty Campers also have time each week dedicated to exploring our most popular, pre-selected camp favorites. *Reserved for Freedom Campers 4th grade or higher. **Reserved for General Campers entering Kindergarten or higher and Outward Adventures Campers. ***Liberty Camp does not have these activities.